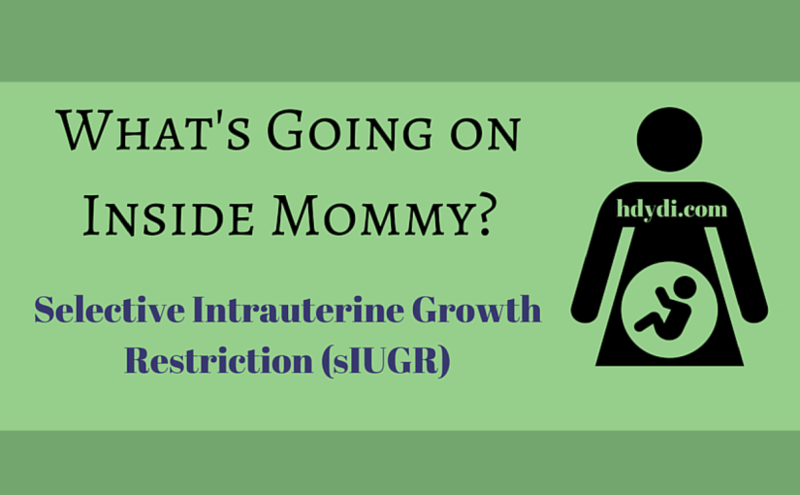 Selective Intrauterine Growth Restriction (sIUGR) | How Do You Do It? Multiple pregnancies are categorized as “high risk” for a reason. It’s not just a matter of the limited room in our womb squishing our babies up against each other. The human female body is optimized to gestate one baby. When you add in more, there’s a chance that not all resources will end up being distributed evenly. If you’re new to How Do You Do It? and didn’t come here specifically to learn about sIUGR, I encourage you to read through the amazing birth stories on this site. The MoMs of HDYDI have experienced the full range of multiple pregnancy possibilities, from full-term to micropreemie, from extended bedrest to working right to the end, from natural childbirth to C-section. Don’t be scared by this one set of potential complications. Most of us have perfectly healthy and happy children today! Meet Jenn, HDYDI‘s newest contributor. One of her twin daughters was diagnosed with Selective Intrauterine Growth Restriction. We’ll explain exactly what that is after Jenn tells her story. My name is Jenn, and I’m a 32 year old mom of a sweet 4 year old boy and 5 month identical twin girls. This is my story about our experience with Selective Intrauterine Growth Restriction. 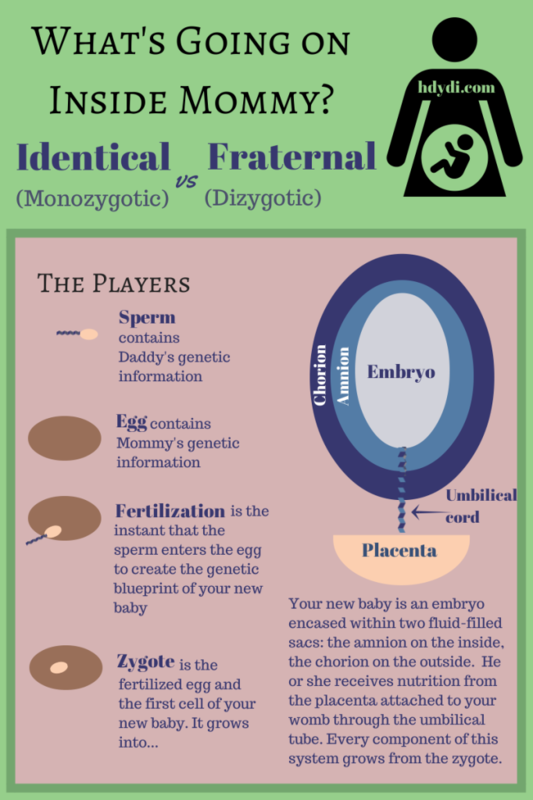 At 9 weeks pregnant, I found out we were expecting monozygotic/diamniotic (identical) twins. After the initial shock wore off (let’s be honest, I’m not sure the shock and wonder ever wear off! ), I dove into books and the Internet to educate myself as much as possible as to what to expect for the next 7 months. 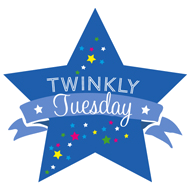 I read about a million complications – preterm labour, how large I was going to get, and about Twin to Twin Transfusion Syndrome (TTTS). Being a worrier to begin with, I began to go over all the things that could go wrong, but most of all, I feared my babies would be affected by TTTS. That fear became real at my 21 week OB appointment. After a fairly easy pregnancy to that point, my OB declared there was a problem. “They are identical, they should be the same size” he said. My Twin B was two weeks behind her sister in size. “This isn’t good, I think you have TTTS”. The next thing we knew, my OB was sending us four hours away to the top TTTS hospital in our province, and we were being prepared for surgery. My whole world caved in. I remember calling my mom in tears, telling her how I was so scared to lose my girls. I didn’t know what to think or do. When we arrived we were given an extensive ultrasound – over two hours long. As we sat down to discuss the results with the doctor, he said that we had no signs of TTTS. I was confused. He then said our itty bitty Baby B had Selective Intrauterine Growth Restriction. What? I hadn’t read about that during my research. He explained sIUGR is an issue that can arise only in pregnancies where the babies share a placenta. Then, he drew us a diagram showing us that Baby B had a marginal cord insertion, which means her umbilical cord wasn’t centrally located, instead being off to one side. This means she was only being supported by 25% of the placenta whereas her sister was getting the other 75%. The doctor (who was a Maternal Fetal Medicine Specialist or MFM) said that I would need to be referred to my local MFM for weekly monitoring of growth and cord flow, but to expect a 36 week delivery by Caesarian section. The MFM also explained to me that many identical twins experience varying degrees of sIUGR due to cord placement, and that most sIUGR babies can catch up after birth. I have to say I breathed a huge sigh of relief, considering we were expecting TTTS surgery that day. We headed home and started our weekly monitoring with my new MFM. He made sure to check UA umbilical artery (UA) and middle cerebral (MCA) artery dopplers, fluid levels, growth and bladder diameters at each ultrasound to stay on top of potential complications. At that point, we were watching UA cord flow to ensure it didn’t reverse, which would be cause for immediate delivery. Every week was a rollercoaster. One week we would have intermittent/absent flow and our little would have only gained a few grams. Other weeks we had perfect cord flow and she was gaining beautifully. The most important thing I could hold on to was the advice I received on a Facebook support group for sIUGR/IUGR babies. I was advised that as long as there was SOME growth each week, and no reverse flow, we were okay. I began to research more things I could do to help my babies grow. I read about a high protein diet so I made sure to take in as much as I could. Every week I either cried with worry, or felt cautiously optimistic. Finally, as I approached 35 weeks, my sIUGR twin slowly stopped growing, and it was time to discuss induction. I had wanted to try for a VBAC, which my MFM was cautiously willing to try if I wanted to. However, after discussing the possible, and very real, risks involving a VBAC and my SIUGR twin, it was decided to schedule a C-section. I made it to my scheduled date at 36.4 weeks, but oh, how I wished I could keep them in a little longer to grow a little bigger. When the MFM delivered my Twin A, she was a healthy weight of 5.6lbs. When my sIUGR twin was delivered, I remember the doctors saying how tiny she was, and the MFM said to me “I’m glad we got her out when we did”. She was 3.14lbs and the sweetest tiniest little pumpkin ever. They whisked her off to the NICU, but assured me she was perfectly fine and would only be there 2-3 days max – she just needed to get her weight up before going home. She was alert, and nursing better than her “big” sister and we couldn’t wait to get them both home. Unfortunately, she picked up a severe blood infection from an IV she received in the NICU, and her 3 day stay ended up being a scary 17 days full of close calls and a LOT of tears. Fast forward (and boy does time fast forward with babies) to today, where our sweet sIUGR twin Charlie is five months old. At three months, she was tipping the scales at over 11lbs, and her twin Addie was over 13lbs. Charlie is perfect in every way, and although the doctors say she will likely always be “petite” she has overcome everything she’s been through like the little warrior she is. The smallest babies are always the fiercest. Charlie was followed by a dietician for the first two months of her life as she aimed to make her place on the growth charts, but she’s now above the 10th percentile and growing on her own perfect little curve. sIUGR has many levels of severity, and our situation could have been much more difficult. Educating yourself is key. My OB didn’t know what it was and assumed it was TTTS. In fact, too many health professionals aren’t privy to the details of sIUGR and TTTS. I’m thankful to have been sent away for more testing, because ultimately I ended up being well taken care of by a MFM who knew what to look for and how to monitor a sIUGR pregnancy. The number one thing I recommend to a mommy who has been diagnosed with sIUGR is to find a support group full of other moms who have been, or are going through, the same thing you are. They are often very knowledgable on what questions you should be asking and what kind of care you should be getting. I’m so thankful for those moms and the constant information and reassurance they offered. There is nothing I did or didn’t do to cause sIUGR, and there was nothing I could do to fix or help the situation. That, of course, doesn’t help the guilt or helplessness you feel as a mommy. This is just another curveball in the crazy journey that is being a mom of multiples! Our babies aren’t the only warriors here after all! Multiples and singletons alike, some babies are affected by a condition called intrauterine growth restriction (IUGR). This term describes a baby who is growing significantly slower than expected in the womb, one who is smaller than 90% of babies of the same gestational age (the time that has passed since conception). Causes of IUGR can be related to the placenta, through which the baby receives nutrition and oxygen, maternal health, or chromosomal issues. Selective intrauterine growth restriction (sIUGR) is a specific type of IUGR that only occurs in identical multiple pregnancies. The “selective” part means that not all babies’ regions of the placenta are impacted. sIUGR occurs in about 10% of monochorionic pregnancies. Those of us with mono/mono or mono/di twins are at risk. (For more information on these terms and general information about twin pregnancies, please see our primer.) In sIUGR, one twin is getting so little of his or her share of the placenta that it is impacting growth. To be blunt, that twin is malnourished and possibly under-oxygenated. This is particularly obvious when comparing the sIUGR twin to his or her wombmate, who, all things being equal, should be about the same size. MoMs, we are masters of guilt. If your baby has been diagnosed with sIUGR, it is not your fault. These things just happen. The fact that you have a diagnosis means that you’re doing what you should for your children. You’re getting regular medical care. Your doctors can help get your baby healthy. Let’s make sure we’re all familiar with the basic terms. Let’s now look more closely at the placenta. 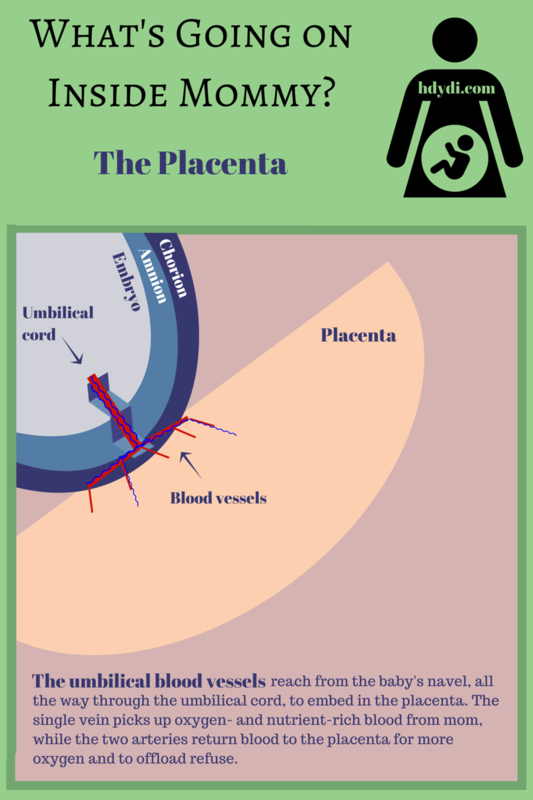 The placenta is your babies’ anchor and food source. It is the place where mom’s cells and babies’ cells meet. Mom’s blood vessels bring in her oxygenated and nutrition-laden blood, which transfer their goodies to babies’ blood in babies’ blood vessels. On the way out, Mom’s blood picks up babies’ waste so that her body can get rid of it for them. Ideally, the umbilical cord attaches to the placenta near its center, allowing plenty of room for blood vessels to spread out and maximize the connections between Mom and baby. However, this becomes more complicated when there’s more that one umbilical attaching to a shared placenta. In most cases, as with Sadia’s daughters, each twin’s umbilical cord is close enough to the middle to claim plenty of placental real estate for his or her blood vessels. Complications can arise when the placenta is shared unevenly. In rare cases, as with Jenn’s daughters, one umbilical cord attaches off to the side and doesn’t get its fair share. The other umbilical cord’s placement is still optimal. Only the undernourished baby is negatively affected, his or her growth limited by the nutrition making it through. This is sIUGR, a condition often initially misdiagnosed as TTTS. In about 15% of twins who share a placenta, one twin gets far more than his or her share of the placenta while the other gets far less. This is called Twin-to-Twin Transfusion syndrome, or TTTS. In effect, the donor twin is giving a transfusion of the blood to the recipient twin. One baby ends up overfed and the other undernourished, which is dangerous for both babies. An initial diagnosis of TTTS may be modified to one of sIUGR if observation of the possible donor twin finds that there’s nothing to be concerned about when it comes to cord insertion. TTTS surgery involves using a laser to block blood vessels carrying blood between the twins. Its benefit is primarily to the twin who is receiving too much blood. Medicine has not yet advanced to the point where surgery is available to make a greater blood supply available to the donor twin or to a baby diagnosed with sIUGR. Frequent ultrasound monitoring is the only real option, allowing your doctor to determine whether it’s safer for your babies to be delivered pre-term than to continue to be nourished in utero by the placenta. If you have any questions about sIUGR or TTTS, please let us know. We’ll do our best to answer, although neither of us is a medical professional. You can find out much more about TTTS on the TTTS Foundation website.